Oregon Pelagic Tours: Hawaiian Petrel on our April trip! Hawaiian Petrel on our April trip! 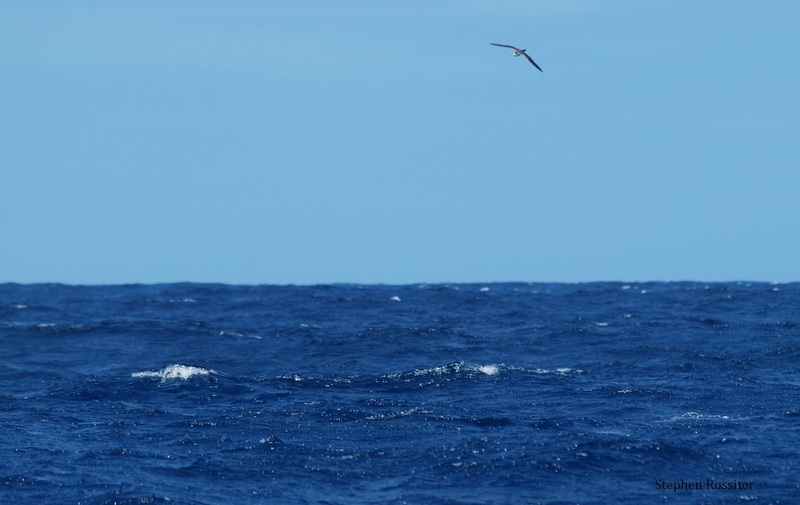 The following photo and crop of a Hawaiian Petrel was taken by Stephen Rossiter on April 30, 2016 about 50 miles off Newport, Oregon. 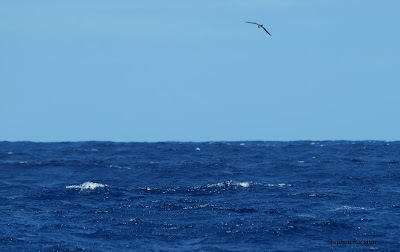 Hawaiian Petrel off Oregon by Stephen Rossiter. April 30, 2016. Hawaiian Petrels are very rare in the Eastern Pacific. They are found very far off shore, but seen regularly as close as 50 miles from shore off southern Oregon and northern California primarily in late April-May, and late July-September. There are 7 records of this species accepted by the Oregon Bird Records Committee (OBRC), plus two additional records accepted as Hawaiian/Galapagos Petrel. These two species were split from the former Dark-rumped Petrel a couple of years ago after identification differences were worked out. 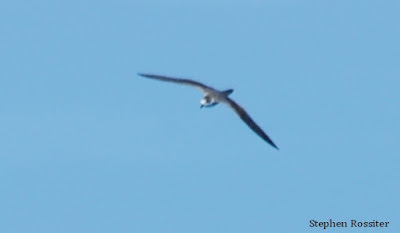 The shorter inner arm and smaller hood as shown in the photo are supportive of Hawaiian Petrel over Galapagos Petrel, but written descriptions will probably be necessary to confirm the identification for the OBRC. This is the first Hawaiian Petrel spotted in 24 years as part of The Bird Guide/Oregon Pelagic Tours birding trips--about 200 trips.